Aha! 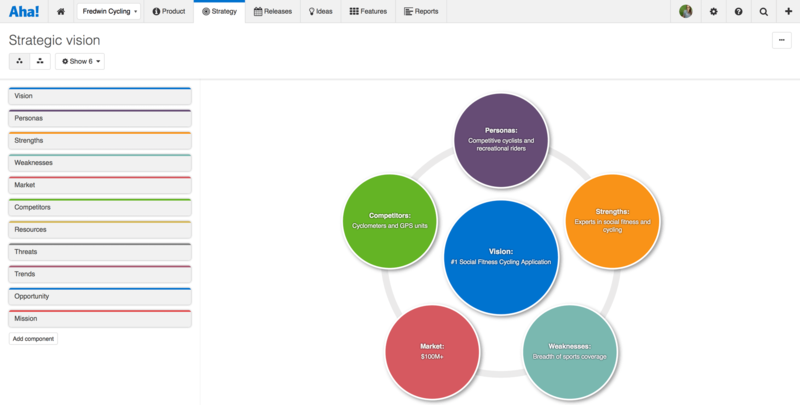 is the all around product management tool. You need something once you build out a product management role and grow beyond a small scrum team with one or two products. JIRA, Pivotal, and project management tools don't cut it for aligning [engineering] with product initiatives once the backlog starts to scale. On the other hand, there are several unfinished features that my peers all admit to having to work around: Capacity Planning, Salesforce Integration, Roadmap Display Flexibility, User Feedback, etc. This year has been all about reporting in terms of feature releases. As Aha! grows, they will fill in these other areas, so stay tuned. Craft is really well suited for any size design team - I have used it within a team of 3, and within a team of 30.It helps with collaboration within the team, and between external teams through 'sync' with Invision.It increases efficiency of using Sketch with things like 'data', 'duplicate', and 'stock'. These tools not only make designing faster, but also more realistic, allowing us to 'test' our designs sooner. 'Sync' usually works flawlessly in syncing my artboards to Invision. Once you set up the plugin, I can easily forget about tinkering with any of the settings - it just 'works'. 'Library' is pretty great for generating a style guide from my design doc. Clicking one button makes magic happen, and creates a super succinct document for me to share between teammates and other teams. 'Data' also works wonders when trying to approximate 'real' data into a static design. It turns the painful job of having to fill in designs with 'real-world' data a piece of cake. It helps me validate rough designs using an actual approximation of real content. I think Aha tries to do too much at times. It tries a bit too hard to handle project management as well as product management and as a result can often fall short. Since everything is customized, it is hard to really get the initial implementation correct, even with Enterprise onboarding support. There needs to be some serious work and training around how the integrations with Trello, JIRA, and other essential tools work as it is hard to understand them in a way to explain to our own IT teams and it has caused confusion. Craft frequently crashes - either the plugin for Sketch, or Sketch itself. Sometimes I have to turn off the plugin completely in order to be of sound mind that things won't crash. But frequent updates usually take care of any short term issues here. The 'Stock' option is great to grab a quick image for a design, but I would love to see the functionality in here expand to even more options, more services, and more filters so I can get what I need even faster and more accurately. 'Library' works great in its own ecosystem, but updating symbols and the like is somewhat manual and time consuming. I have to constantly ensure everything that needs to be in-sync, stays in-sync. I was not a decisionmaker for this product. Craft has a completely unique tool set that has functionality that really is not duplicated any where else in the industry. It cannot really be compared to any other tool I have had experience with, especially with the larger cloud infrastructure that Invision has built around their plugin and their platform. Provides a birds-eye view for the leadership team into what is being worked on. More accurate mockups for clients that take less time than without using Craft. Increased collaboration within and between teams by providing more immediate insight into active design work. More enjoyable experiences while designing, because the tool set opens up new work flows that do not existing natively in any design software.